World-renowned chef presents his striking new collection, Bread Street Kitchen, a modern design that lends itself to the casual dining style for which Bread Street Kitchen is loved. The tableware is perfectly proportioned for every meal and the serving pieces are intended for both individual portion sizes or to share. 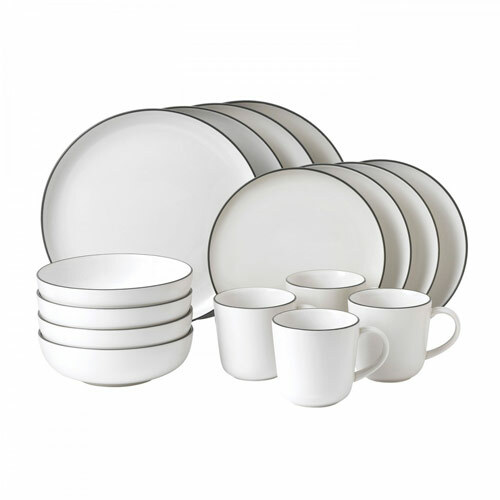 This 16-Piece Set consists of a neutral Slate and White color pallette, adding interest by using different finishes, mixing satin and high gloss and contrasting edge lines to create a striking and smart look.